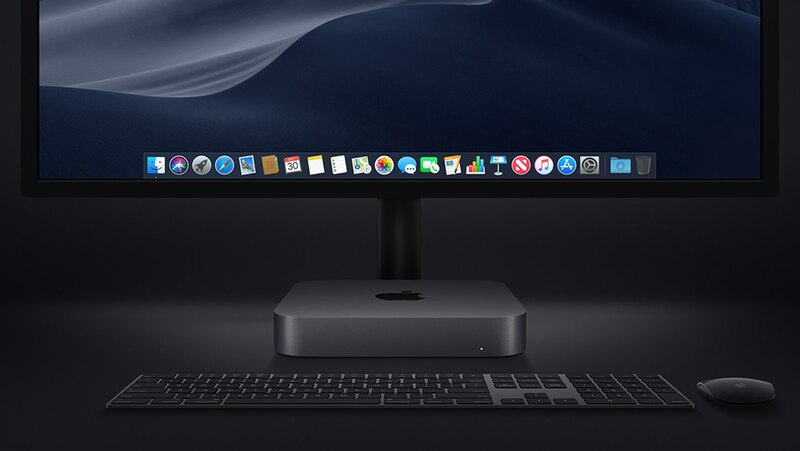 Apple’s Mac mini was refreshed last week and it’s quite a beast, according to the first Geekbench 4 synthetic benchmark scores pertaining to the pricier $1,099 model upgraded to an optional six-core 3.2GHz Intel Core i7 processor, resulting in a $1,299 configuration. According to VentureBeat, which first spotted the new Geekbench CPU scores for a “Macmini8,1” model featuring an Intel Core i7-8700B CPU running at 3.2GHz with six cores. The first Geekbench result is the strongest, showing a single-core score of 5,512 which eclipses all Mac models save for the latest four-core 4.2GHz iMac, plus a multi-core score of 23,516 placing the Mac mini at the same general performance level as a mid-range configuration of the Intel Xeon-based Mac Pro, which runs eight cores at 3.0GHz. Apple’s higher-end 12-core Mac Pro and four separate configurations of the iMac Pro all easily outperform the Mac mini, albeit at much higher prices. By comparison, the 2013 Mac Pro starts at $3,799. In other words, the latest Mac mini offers the same CPU performance as the more than three times expensive Mac Pro which, by the way, does not offer DIY upgrades like the new mini does. Take these scores with a grain of salt: we need more benchmarks before claiming that the new mini is faster than the mid-range Mac Pro. A second benchmark posted just a few minutes earlier shows a single-core score of 5,070 and a multi-core score of 16,818. The author speculates the discrepancy could be due to some other process running at the same time as the first test. 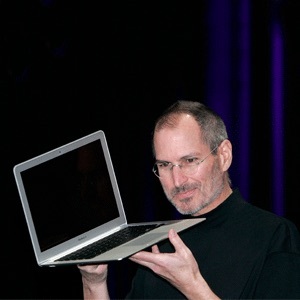 “But if the numbers were averaged together, the new Mac mini would be closer in performance to a high-end laptop than a powerful desktop,” he said. As I said, additional benchmarks and side-by-side real-world testing would be needed to make any definite conclusions. 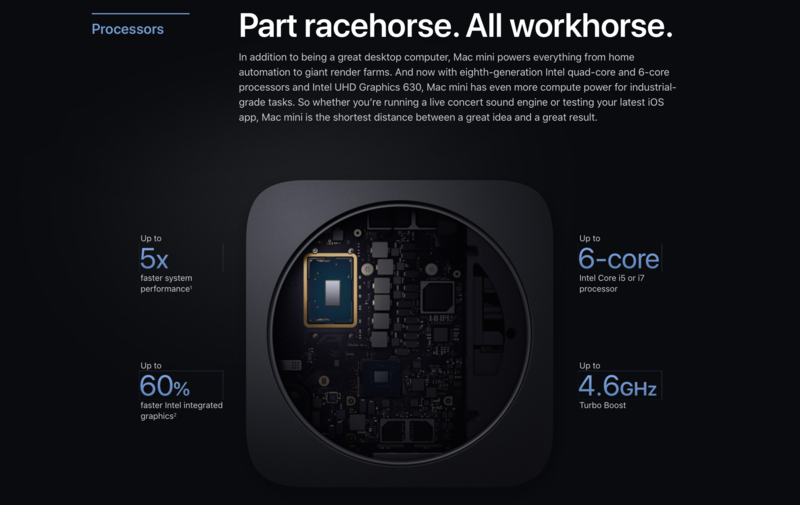 By comparison, the 2018 MacBook Pro models range from 4,505 to 5,344 in single-core performance and about 8,831 to 22,556 in multi-core, depending on configuration. Apple has underscored that the updated Mac mini does not use the slower, less powerful mobile editions of the Intel CPU and graphics. For Mac mini fans out there, this is all just wonderful news. While much of the speed gains provided by the new mini stem from the fact that it wasn’t upgraded for a bunch of years, this is currently without a doubt the best Mac model in terms of value. For just $1,099 for the “pro” edition, the new Mac mini is a much better value than the base $1,199 model of the new MacBook Air which scored 4,091 and 7,693 in single-core and multi-core performance, respectively. And with a $200 CPU upgrade, it offers more CPU power than the aging Mac Pro. While the Mac Pro has faster GPUs, meaning it still beats the new mini in terms of GPU-accelerated tasks, like video editing, no Macs beat the mini’s footprint, silent operation and price. The new Mac mini arrives November 7. You should also check out the first MacBook Air and iPad Pro benchmark scores. What are your thoughts on these Mac mini benchmarks?